Pokémon Go creator Niantic has inked a deal with mobile carrier Sprint which will see all of its stores transformed into pokéstops or pokémon gyms. This arrangement also extends to all Boost Mobile retail locations, as well as Sprint at Radioshack stores. This gives those still playing the once-hugely popular mobile game more places to stock up on the all-important Pokéballs and Razzberries – essential for catching Pokémon -, as well as a somewhere to battle other trainers. To actually coax players into the stores, Sprint is also offering free charging stations, which no-doubt will be welcomed by those still playing the notoriously power-hungry game. It’s likely the company hopes those stepping inside to get some juice will also be tempted to sign up for a new plan. 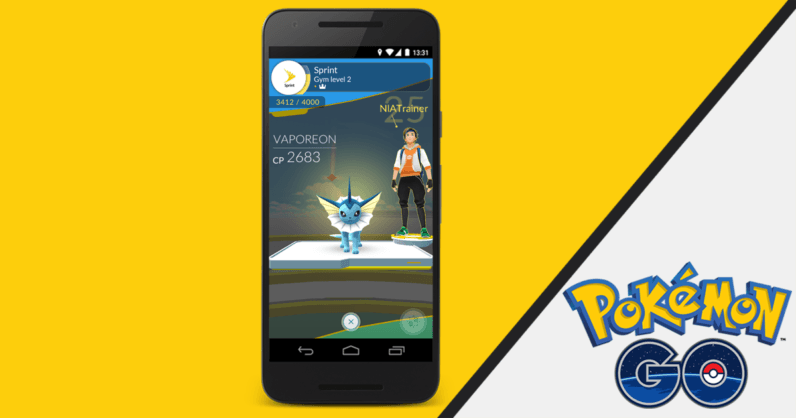 The deal starts December 12 — the same day Niantic expects to drop some all-new Pokémon. Other major changes are planned as well. Sprint’s deal isn’t the only one we’ve seen in recent days. Starting tomorrow, all company-owned Starbucks stores (as opposed to franchise-owned ones) will transform into Pokéstops. According to a leaked memo, the coffee chain also plans to launch a special Pokémon Go-themed frappucino beverage called the Pokémon Go Frappucino Blended Creme. Personally speaking, I would have gone with thiscoffeetasteslikeburnedrubberchu, or fuckoffimnotpayingfivebucksforthismander. While interest in Pokémon Go has dwindled, it’s possible that these partnerships, in addition to the impending update, could go some way towards reviving enthusiasm for it .